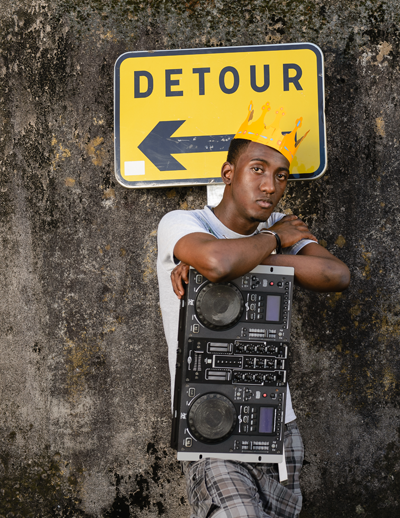 Born at the Port Antonio Hospital, given the name Prince Hartley, music has been in his blood from July 5th 1993. Living in Port Antonio from birth, he started playing musical instruments and this brought him the love for the turntables in 2007.He began displaying his musical versatility by playing at weddings receptions and later at club openings and other small parties. It may sound odd but call him for a simple outing or just a quick meeting and he may or may not show but tell him you have a system and the wheels of steel are there and he is ready. He makes the music as fun just hgh hormone releasers as his personality because he always wears a smile whether on the road or just simply being in studio. With his soul goal of becoming a studio engineer poised to be realized at the Native Recording Studio this dream is only two door knobs away. The opportunity presented itself of being a member of the Stylz FM family, which he has grasped with equal passion. When he's asked, "How you are so young and work as a DJ on a radio station?" His usual response is, "with great determination, love, patience and dedication, you will reach where you want to." Crown Prince is the youngest DJ playing on Stylz FM.